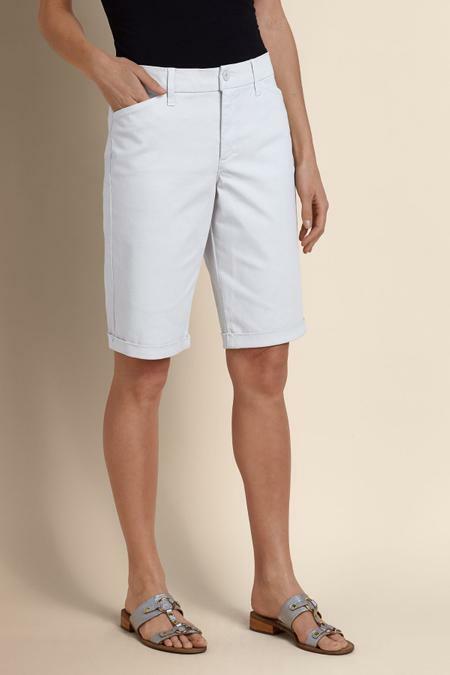 NYDJ's shapely shorts in soft twill feature on-trend rolled cuffs and a slenderizing slim leg. Designed with 5-pocket jeans styling with a zip fly and button closure, they feature revolutionary Lift-Tuck Technology that lifts, flattens and smoothes to make you look a size smaller. Cotton/spandex. 11" inseam.